GST has introduced in India in the year 2017 on 1st July, It has removed various indirect taxes like VAT, CST in India, GST is the single uniform indirect tax structure in India. As per the GST Act(goods and service tax 2016-2017), every taxpayer whose business annual turnover is above 20 lakhs has to register themselves under GST(10 lakh for Northeastern states). 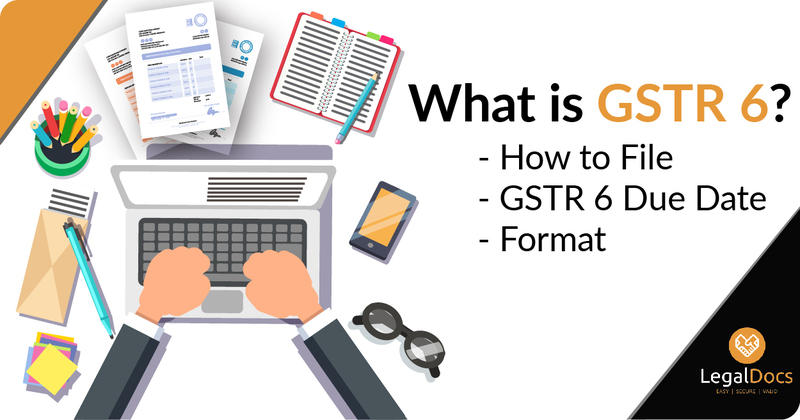 It is also necessary for a taxpayer to print the Registered GST certificate in the premise of the business stating that the business is â€œGST Registered Businessâ€œ. GST certificate should be available on the business premises at any point in time. In case you are a new user you have to log in first by the following mentioned procedure. 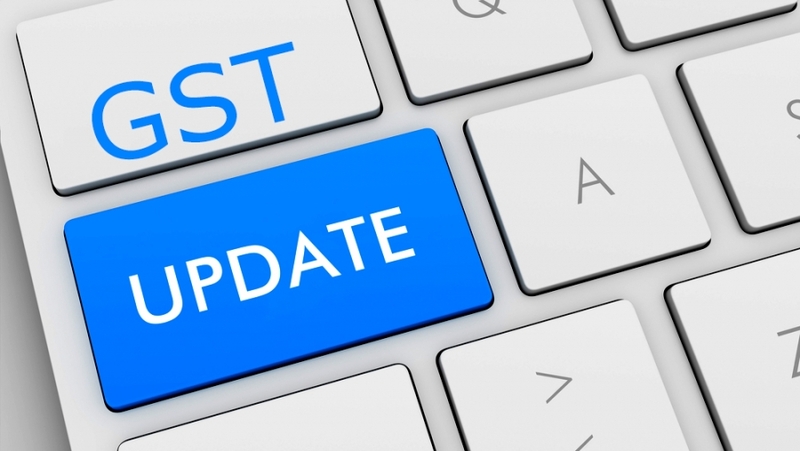 For Login when your GST is approved you get the GST login Details and GST number on your email ID. As soon as the registration is completed. A mail will be sent on the registered mail Id of the taxpayer which will include Username, Password, and GSTN(Goods and Service Tax Number). For new taxpayer visit Online GST Portal & Click - â€œFirst time login: If you are logging in for the first time, click here to log inâ€. Log in by using the provided Username & Password. 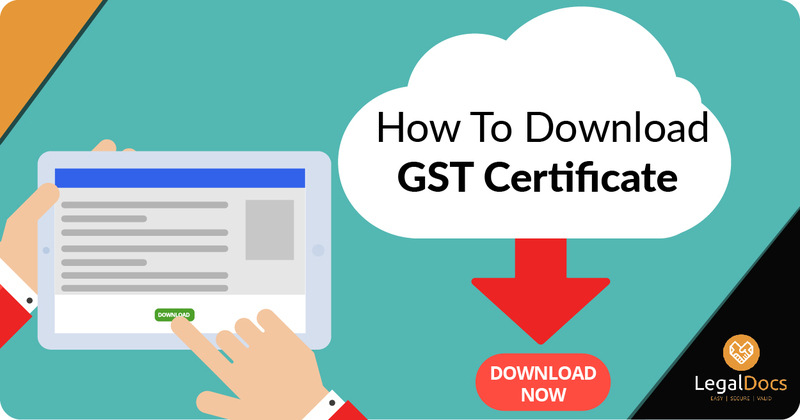 Once you log in, you will be able to download the GST certificate by following the below-mentioned procedure. Step 2 : Click on Login (On the right side of the page). Enter your â€œUsernameâ€ & â€œPasswordâ€, along with this enter the correct â€œCAPTCHAâ€ to log in. Step 3: As soon as you log in, the Dashboard will arrive, Click on â€œServicesâ€ - â€œUser Servicesâ€. Step 4: In the User Services section - Select â€œView Download Certificateâ€. Step 5: A table with Form Number, Form Description and Date of Issue will be displayed. Click on download. Step 6: The file will be downloaded in your system. You can view GST certificate easily. Below attached is a sample copy of GST Registration Certificate. What does GST Certificate include? The registration number will be given to the registered taxpayer which is also known as GSTIN. GSTIN will be a 15 digit number, the first two digits will be the state code, later 10 digits will be PAN (Permanent Account Number), 13th digit will be the Entity number of same state PAN holder, A â€œZâ€ by default at the 14th place, Checksum digit will be at 15th place. The first row will have the legal name of the business holder. The next row will include the trade name if any. This row will show the business type, as there are different types of businesses such as Sole proprietorship, Partnership etc. On which date the taxpayer becomes liable to registration, the effective date of registration is known as the date of his liability. This section will show the period of validity - which will include the start date and the end date of GST registration certificate validity. Here the type of the taxpayer will be shown. Here the DS (Digital Signature) will be displayed. Details of the Approving officer will be mentioned at the end. The details will include the Name, Designation, Jurisdiction Office, Date of issue of the certificate. It is necessary for every registered taxpayer to have this certificate in the business premise available all the time. Also, the person should start issuing GST compliant sales invoices.